Call comes on the heels of a rise in terror activity in Judea and Samaria last month. Hader Habib, a senior member of the Islamic Jihad in Gaza, called on fellow terrorists to abduct an IDF soldier, in a speech Sunday at a protest tent for identification with Palestinian Authority (PA) prisoners that was erected next to the Red Cross Headquarters in Gaza. Hader called for the abduction of soldiers so that they can be exchanged for PA prisoners. PA Chairman Mahmoud Abbas said Tuesday in his speech at the Fatah convention that releasing Fatah Tanzim commander Marwan Barghouti, who was sentenced to five life sentences, and Ahmed Saadat, the PFLP commander who ordered the assassination of Minister Rechavam Ze'evi, as well as other senior terrorists, are on his political agenda. “None of the Palestinian prisoners in Israel will be forgotten,” he declared. 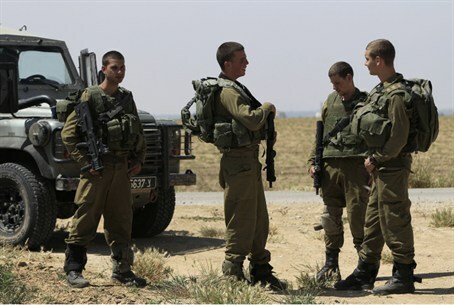 In Judea and Samaria, there has been a spike in terror activity in the Ramallah area during August, according to a battalion commander in the Givati Brigade, Lt. Col. Liran Hajbi. Hajbi told the IDF Website that in the past month that the battalion has been carrying out arrests and raids every night to prevent the terror attacks from being launched. The monthly Shin Bet (Israel's domestic security agency) report published Monday also determined that terror attacks in Judea and Samaria in August were up, from 50 in July to to 68 in August. In Jerusalem there were 25 attacks, one more than in July. Most of these attacks were firebombs. On Sunday, it was revealed that Israeli security forces had foiled a major terrorist attack in Jerusalem, planned for the upcoming holiday period.